Wes Iwundu is an American Professional Basketball Player who plays in the National Basketball Association (NBA). As of 2018, Iwundu currently plays as small forward for Orlando Magic. Further, he also plays for the Lakeland Magic, an NBA G-league affiliate. Wes Iwundu reportedly earns an annual salary of $1.05 million and has an estimated net worth of $3 million. As a small forward, Iwundu so far has made $1 million from his NBA salary alone. Wes Iwundu was born as Wesley Deshawn Iwundu on December 20, 1994, in Houston, Texas to parents Larry Williams and Marilyn Williams. Further, his star sign is Sagittarius. Iwundu grew up alongside his two older siblings Chris and Kimberly. Iwundu's mother was a registered nurse, while his father was a railroad worker. Growing up, his favorite players were Chris Paul, Tracy McGrady, Steve Francis, and Cuttino Mobley. Iwundu attended Westfield High School in Texas, where he played for the high-school team. He was then recruited to the Wildcat's Men's Basketball team of Kansas State University. Iwundu averaged 13 points, 6.3 rebounds and 3.5 assists per game, for his senior season. As of 2018, Iwundu has an estimated net worth of $3 million. He reportedly signed a 3-year contract worth $4 million with Orlando Magic. Further, the NBA player earns an annual salary of $1.05 million. As of 2018, Iwundu is the 420th best-paid NBA player. He is also the 12th best-paid player of the Orlando Magic this year. So far, Iwundu has made over $1 million from his NBA career. Orlando Magic's contract with Iwundu is much higher than other player's deals. Generally, it is not typical for a team to sign a guaranteed 3-year contract for second-round picks like Iwundu. Why CatFish?? When it’s easier being you??? Iwundu's contract is fully guaranteed and is higher than the other second-round picks such as Frank Jackson and Davon Reed. The former Kansas State's basketball player was selected in the second round by the Orlando Magic in the 2017 NBA draft. In his final season at Kansas State, Iwundu averaged 13 points and 6.3 rebounds per game. 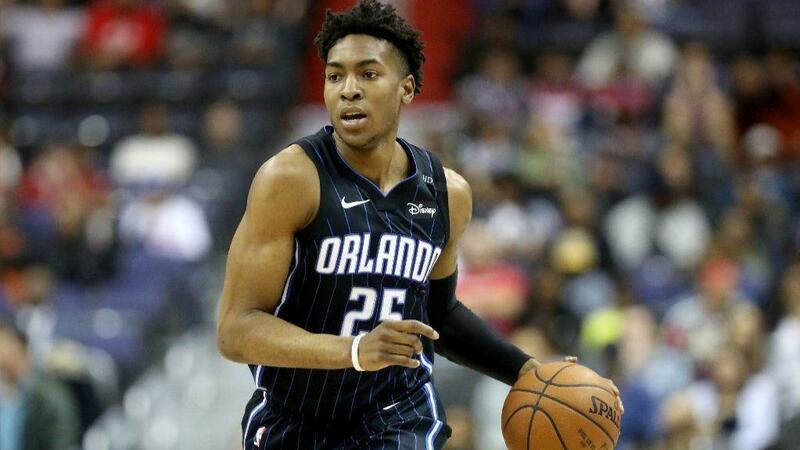 During his rookie campaign with Orlando, Iwundu played in 62 games with an average of 3.7 points, and 2.2 rebounds per game. He has also played 9 games for NBA G-league team "Lakeland Magic" with an average of 15.2 points, 8.6 rebounds, and 1.2 steals per game. The Young NBA player appears to be entirely focused on his career. There aren't any reported rumors of his affairs or relationships. He might be dating his girlfriend but he hasn't made any revelation about his love life. However, he is believed to be unmarried till date. Apart from Basketball, Iwundu is also an effective student. During the spring of 2017, he was named to the Big 12 Commissioner’s Honor Roll three times, including a 4.0 GPA. In May 2017, Iwundu earned his bachelor’s degree in Family Studies and Human Services from Kansas State University. The rising star has more than 10k followers on Twitter and has 21k followers on Instagram. As of 2018, Iwundu is 23 years old. The former third-team nominee has an impressive height of 6 feet 7 inches (2.01m) and has a weight of 88kg (195 lbs). An interesting fact about him is that after completing high-school, Iwundu was offered scholarships from more than 15 colleges.